Whether you want to travel, communicate with friends or colleagues, reconnect with family, or just understand more of what’s going on in the world around you, learning Danish will expand your horizons and immeasurably enrich your life. - Quick & Easy - Only 30 minutes a day. - Portable & Flexible - Core lessons can be done anytime, anywhere, and easily fit into your busy life. - Proven Method - Works when other methods fail. - Self-Paced - Go fast or go slow - it’s up to you. - Based in Science - Developed using proven research on memory and learning. - Cost-effective - Less expensive than classes or immersion, and features all native speakers. - Genius - Triggers your brain’s natural aptitude to learn. - Works for everyone - Recommended for ages 13 and above. 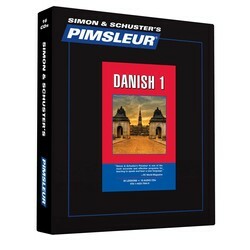 Reading Lessons begin at the end of Unit 11 to provide you with an introduction to reading Danish. 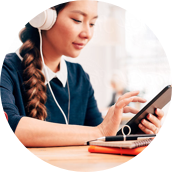 In addition, the combined Reading Lessons from the course are included at the end. These lessons, which total about one hour, are designed to teach you to sound out words with correct pronunciation and accent. - MP3 files available exclusively from Pimsleur.com can be played using the free Pimsleur Course Manager app, which can be installed on smartphones, tablets or computers for personal use only.